My little Mama had emphysema and it scares me knowing what she went through, so I know I need to quit smoking. I have done a lot of research trying to find the best way to quit. I don't want to put more nicotine in my body so nicotine patches are out. I don't want to put unneccessary chemicals in my body either. 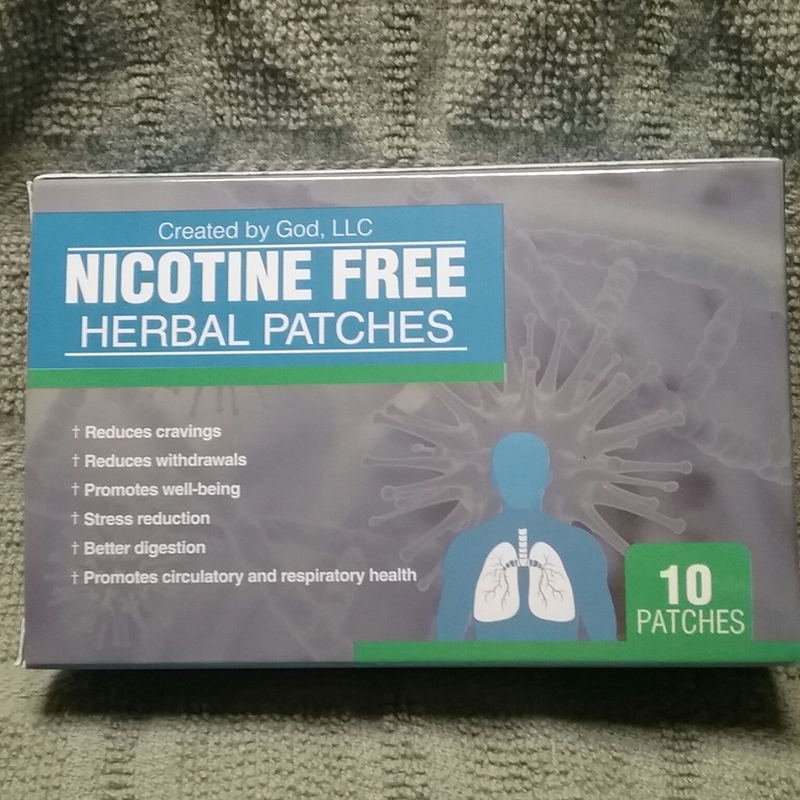 I was both excited and very interested when I came across these Nicotine Free Herbal Patches . These patches work to reduce cravings by minimizing nicotine withdrawls. This blend of herbs helps your body to heal from nicotine addiction by detoxifying and supporting the adrenal glands, aiding in stress relief and proper rest, reducing cravings, promoting an overall sense of well being, improving circulatory and respitory health, soothing cough, and assisting in digestion to absorb proper nutrients. These nicotine free patches contain GotuKola,Hops, Skullcap, Oat , Peppermint , Ginger Root , Gentian , Myrrh , Safflower , Eucalyptus , Slippery Elm , Licorice Root, Alfalfa , Passion Flower , Sarsaparilla , Bayberry, Echinacea Powder. So easy to use,just clean and dry area of skin where you want to place the patch. Peel the adhesive backing off of one patch and press the patch firmly against your skin. Each patch should be worn for 3 days then replaced. It's recommended to place each new patch in a slightly different location. I think it's awesome that for each package sold Created by God,LLC will donate $1 to Help Children In Need.